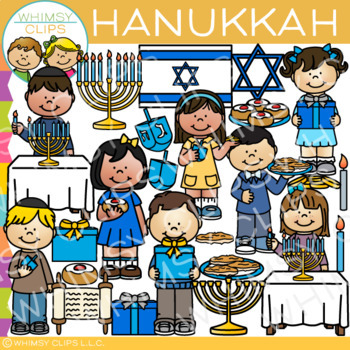 This clip art set includes traditional Hanukkah symbols as well has kids celebrating the holiday. You will receive 57 high-quality image files, which includes 24 color images and 23 black & white images in transparent 300dpi png. This set is also part of a larger Holidays Around The World clip art bundle.